Is today the end or beginning of Kartika? Today is the last day of Kartika. Different devotees would have had different experiences and realisations in this Kartika. But for some fortunate devotees it will be the beginning of a full year of Kartika! Yes, it is indeed very rare and only some fortunate souls receive the mercy and inspiration to observe it properly for one full year (or a life time). In one of the verses in Stavamala, Srila Rupa Gosvami, describes Srimati Radharani as Kartiki-devi. She is the presiding deity of this month. In Bhakti Rasamrta Sindhu, he describes Kartika Vrata as the Urja vrata. Urja means power, strength and empowerment. Who is the source of this urja, power and spiritual strength? Urjesvari, Srimati Radharani. So this is the month we can receive spiritual strength, empowerment to increase our qualification for service and power to make rapid progress in bhakti. 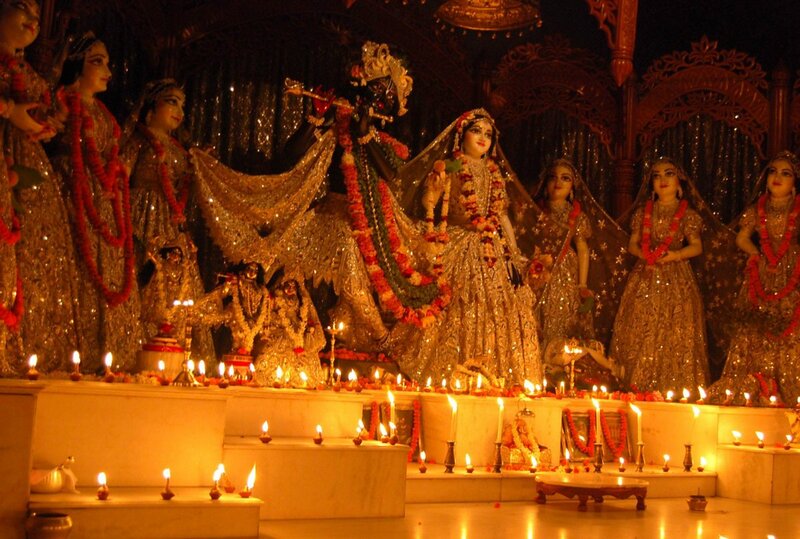 So most devotees observe Kartik vrata to somehow please Srimati Radharani. Does this mercy departs on the last day of Kartika? For pure devotees every day of the year is Kartika. But what about us? Those who are yet to develop, and bestowed upon, a spontaneous love for Radhe Shyam. What if we did not/ could not keep any vow this Kartika or what if we feel disheartened because somehow we failed to keep our vows. Not everything is lost for us. We still have a ray of hope and a very bright ray, mercy of Srimati Radharani. It would not end on the last day of Kartika, provided we take some last minute action, today. We are aware that mercy of Srimati Radharani is readily available in Kartika. Today being the last day, we can take a vow to improve upon any of the areas where we are spiritually weak and/or continue to keep what we started in Kartika. We should earnestly pray to Srimati Radharani to please help us in that area and we take a vow to continue our vow till the beginning of next Kartika. So that it finally becomes part of my daily service. We will show our sincerity and seriousness by trying to keep that vow for Her pleasure, not to collect some pious credits or flaunt some numbers. This will please Her. This would be a proper cultivation and utilisation of Kartika. We are not looking at Kartika as some quick fix solution. Our goal should be to cultivate bhakti, spontaneous love for Radhe Shyam. I repeat what I quoted few weeks back that the temple will be packed all through the Kartika but it is practically empty a day after Kartika, that should not be the condition of our heart. Whatever mercy we received this month should propel us ahead in bhakti. Not that Kartika is gone and we are back to the same old routine, not the best of the attitude to please Srimati Radharani. Also at our stage it is best to keep austerities away and take vows which are based on direct limbs of bhakti. Endeavoring to carefully hear the Holy Name during my japa. Daily read the translation of Tulasi Arti after singing it. The list is endless and we can pick wherever we think we need improvement: our hearing, reading, improving relationship with Holy Name/ devotees/ guru. Let us look at the lotus feet of Radha Shyamsundar and pray to Them, beg Srimati Radharani and we take our vow to continue what we started in Kartika or start afresh today with a new vow to please Her lotus feet. Today is the last day of Kartika to show Srimati Radharani that we indeed have some desire to please Her and are willing to walk the talk. Radharani’s mercy doesn’t end on the last day of Kartika. It’s ongoing!Let us aspire for it. All glories to Kartika month. Kartika doesn’t end on the last day of Kartika! There so many benedictions for the month of Kartika and we get constant reminders via email, messages on mobile and so many other mediums. The list grows only bigger by the day. There is no other month equal to Karttika. There is no other scripture equal to Vedas. There is no other place of pilgrimage equal to Ganges, therefore, the month of Karttika is very dear to the Vaisnavas . Of course because it is Kartika, month of Lord Damodara, so daily chanting of Damodarastkam is also a must. Sri Sri Damodarastakam is sung during Kartika, also known as month of Damodara. As quoted in the Sri Hari Bhakti Vilasa,”In the month of Kartika one should worship Lord Damodara and daily recite the prayer known as Damodarastaka, which has been spoken by Sage Satyavratra and which attracts Lord Damodara. So it a very very powerful month. 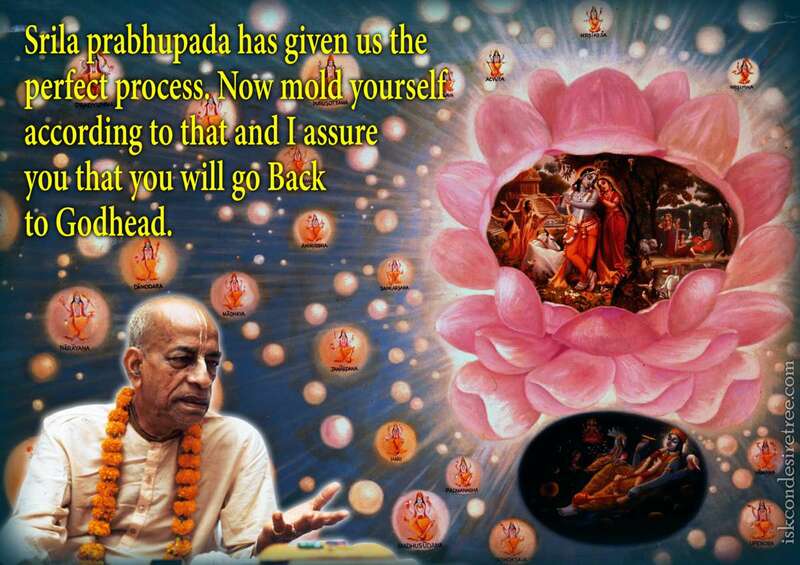 Now let us hear a different point of view from Srila Prabhupada. Isn’t this a very interesting angle on what all we have been reading since past many days. We should be certainly aware of what Srila Prabhupada wants to convey- for a serious and sincere devotee. Being the Kaliyugians, or a dyed in the wool karmi like me, we have a tendency to forget the preciousness of what Srila Prabhupada has given us and actually how dynamic and how powerful every single little tiny thing is. Let us read some other quotes from Hari Bhakti Vilasa. Just by offering obeisances to Lord Hari even once, a devotee can attain His transcendental abode. Even if one offers obeisances with duplicity, all of his sinful reactions that have accumulated during hundred of previous lives are at once eradicated. Know for certain that in Kali-yuga, drinking Lord’s caraṇāmṛta is the best atonement for all kinds of sinful activities. Just by drinking caraṇāmṛta , one’s body becomes purified. One who worships the lotus feet of Lord Hari with offerings of tender tulasī leaves never returns to this miserable world after attaining the abode of supreme Lord. Lord Keshava becomes pleased with a devotee who prepares a garland of tulasī leaves and manjaris and then offers it to Him. Indeed, He awards such a devotee residence in the spiritual world. Those who offer incense to the Supreme Lord achieve prosperity in this life and enter the spiritual world in the next. Just as the incense smoke rises, the devotee who offers incense everyday advances towards an exalted destination as a result of his devotional activities. The purification one achieves by bathing in hundreds of millions of holy places can be achieved simply by smelling the remnants of incense offered to Lord Hari. Lamps give us vision and upliftment. 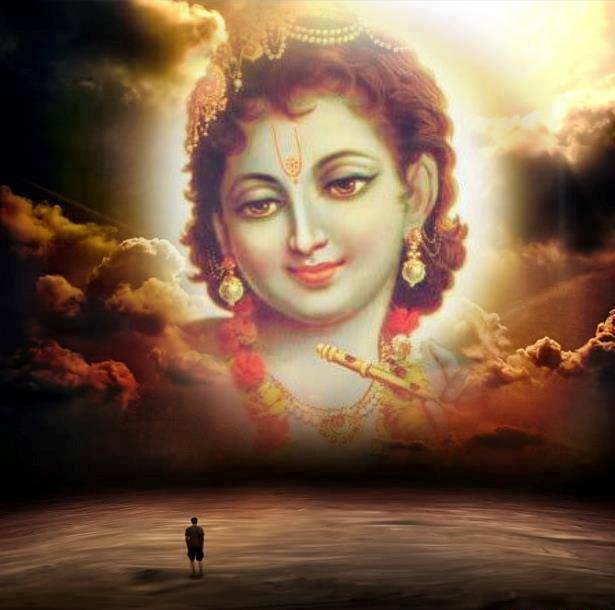 The more a devotee offers lamps to the Lord, the more he makes advancement. Lust, anger and pride that born of ignorance, as well as one’s material entanglement, are destroyed simply by worshipping the Lord with a beautiful ghee lamp. Now the most interesting thing is that all the above benedictions are not for Kartika but these are for everyday of the year. Can we see and appreciate how strong and potent devotional practices Prabhupada has given us. Everything about Krishna consciousness process is cintamani but we are blind, slow fools and just can’t see it. And so we have to be encouraged with strong, fruitive type ‘incentives’ like Kartika. That’s why Prabhupada is saying that for the awake devotee every day is Kartika. These are common everyday things in our devotional life. Prabhupada has got us do them every single day. Even if I am a rascal still I get unlimited benefits. The process Srila Prabhupada has given us is very powerful. So if we become aware of what we have got then every moment is Kartika for us, every moment benedictions are being showered on to the devotees. If every moment we are conscious then every moment we are gaining in a similar way as we are supposed to gain in Kartika! This brings us to the point that we have to approach Kartika with intelligence. Let us hear some questions and see what is our heart’s response to them. Q: Kartika is here, am I performing vratas because I want pious credits or I want prema bhakti? Q: Am I going to approach it as a ‘process wala’ or as a personalist? Q: Do I want to love Radha Damodar or I want to ‘use’ Their mercy? The answers are quite obvious for any sincere and serious devotee. So we should also be aware of subtleties. We should not get caught up in the externals or too many activities in Kartika, or the numbers. Of course, we do the things which are the essence, the five things that we discussed in the beginning. We do the things we are very attached to. But we can think of what are my weaknesses in my devotional life. Is it something about my relationship with devotees? Is it something about my relationship with my guru? Is it something about my relationship with the Holy Name? What are my weaknesses? I am going to work on them this Kartika. And we use the mercy of Radhika to help us with that. We can speak to Her about that and don’t let it finish with Kartika. Radharani’s mercy doesn’t end on the last day of Kartika. It’s ongoing! So if we use the month to facilitate building a relationship which is based on the realisation of our needs in our Krishna consciousness. And we actually want to meet those needs. And we are depending on her mercy then it illuminates our hearts. In this way Kartika can be very very special. So we should not try to approach Kartika as some quick fix or as a process. The temple will be packed all Kartika but it is practically empty a day after Kartika. That should not be the condition of our heart. 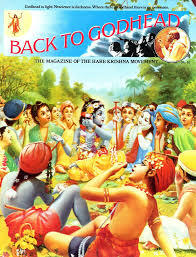 Because if we are actually wanting to use Kartika to develop our attachment to Radha-Shyam, then mercy during Kartika should be propelling us, pushing us in Krishna consciousness- after the Kartika! Not that Kartika finish, all done and dusted and back to the same old routine! Next year, Next special! Not a very healthy mentality. f we are careful and intelligent then we will realise that is it is such a rare opportunity. It is said that Radharani has no eyes for anyone other than Krishna but this month she has an eye for all of us fallen conditioned souls. Are we going to talk numbers to her? We should be wanting to develop our relationship with Her and Her devotees. As her aspiring servants should we be worried about pious credits or cultivate bhakti? Proper cultivation means that it should be inspiring to continue AFTER the Kartika has finished. I found an amazing quote by Srila Bhaktivinoda Thakura which speaks of similar essence for sincere and serious devotees. What should one specifically think of, on an each Ekädaçé? So I have shared whatever little I heard and I hope, and I pray, that it helps us not to let this Kartika end on the last day of Kartika but rather propel, and inspire, us to continue after Kartika. Now that would indeed be very pleasing to Srimati Radharani.